The proposition that smaller class sizes necessarily guarantee better outcomes appears, at first glance, incontrovertible. With lower student-teacher ratios, teachers focus more on teaching and less on marking, students receive more personalised attention, and as a result the learning is enhanced. In addition to these benefits, Non-Constituency Member of Parliament Leon Perera – filing an adjournment motion on maximising students’ potential in classrooms of the future in Parliament, last Tuesday – added that “small class sizes allow weaker students to be more engaged during lessons because they have less room to stay quiet”. But do they? The correct answer, based on research (or lack thereof) in Singapore, is that we do not know. Until we run (quasi-)experiments, that is. And in this vein too, the difference in how ST and TODAY angled their stories on the exact same speech was instructive. Whereas TODAY’s headline read “Conduct large-scale study to assess benefits of small class sizes in schools: NCMP” (TODAY, Nov. 7), ST instead ran with “Reducing class sizes can benefit students: Leon Perera” (ST, Nov. 7). Since Mr. Perera did propose to replicate a 1985 study in the United States (which ST did not mention), so as to guide decisions by the Ministry of Education (MOE) to potentially reduce class sizes in Singapore, TODAY’s report seems a lot more reasonable. Be that as it may – and as it stands – assessing and comparing the claims of Mr. Perera and the MOE are difficult without data and information. The terms of the debate diverge too, because of variations in context, precision, and concerns over feasible implementation. First, with context, findings from the education systems of other countries could be referenced, yet they may not apply to Singapore (And Singaporean students, based on many international rankings, do start from a higher performance base, even if the costs of these achievements are rarely accounted for). Second, with precision, “class sizes” and “outcomes” must be specified: What is the exact mechanism through which students gain from small class sizes? Do these benefits (or costs) accrue to or through teachers and schools? And are we only interested in academic outcomes, or also other effects? Third, with concerns over feasible implementation – and especially with some concerns over teacher retention – is it more constructive to look at an optimal range of class sizes, rather than the smaller, the better? Which is why (quasi-)experiments are appealing. In a simple design within one school, a group of secondary one students – while taking into account, for instance, the profiles of their parents, their family and socio-economic backgrounds, and their PSLE T-scores – could be randomly selected, before they are assigned to three classes. All three classes will receive the same resources, syllabuses, and teachers (who are unaware of the experiment, so as not to bias their pedagogies), with the only difference being their class sizes. The first might have 25 students, the second, 30, and the third, 35. MOE has said that, on average, the form class sizes in primary and secondary schools are 33 and 34 respectively (the medians are 32 and 36 respectively). Such single experiments are not the be-all and end-all. Knowing how the students in these three classes perform at the end-of-year examinations provides some indication as to whether smaller class sizes are predictive of better academic outcomes, though single observations could be due to chance. Expansion and replication of these experiments across the schools in Singapore and with students of varying abilities, therefore, will not only provide even more observations, but also allow the MOE to ascertain the consistency of the findings. The 1985 study cited by Mr. Perera found that pupils in smaller-sized classes did better in early learning as compared to their contemporaries in larger-sized classes, though a plethora of research studies which have followed – conducted in states and countries around the world – have not always arrived at the same conclusions. Again, context matters. And class size is just one of many factors which affects the quality of education. The MOE and Education Minister (Schools) Ng Chee Meng are not wrong that research on class size is inconclusive, and that the success of students is premised upon a wide set of variables. 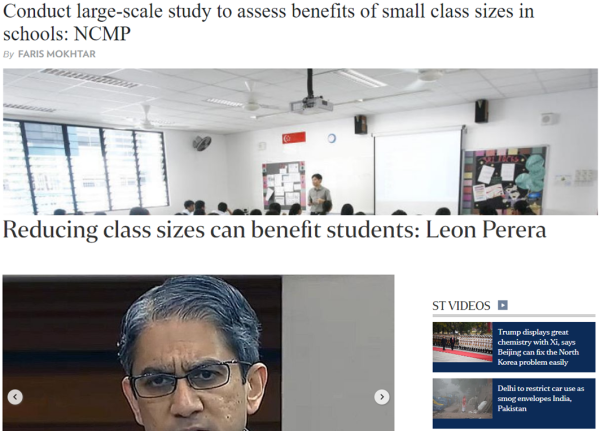 But they may be missing a more fundamental point Mr. Perera seems to be alluding to, that Singapore and the MOE can contribute to research on class size, and along this tangent be more certain about the factors which correlate with better educational outcomes. In fact, (quasi-)experiments can come in handy too, when measuring teacher quality as well as school environments. To be open to experimentation is to acknowledge that conventional wisdom may not always hold, and it further reflects a desire to improve the status quo. Singapore’s education system has had much to show for, yet the continued progress of its students can only be assured if we never stop working to improve our policies, in an informed and reasoned manner. 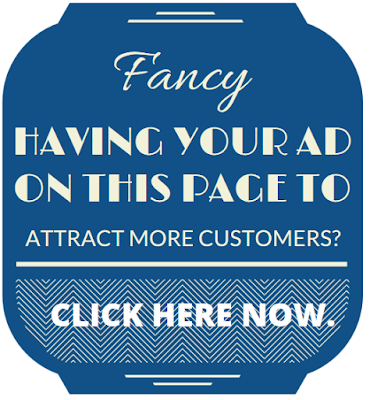 This post was first published over at the blog of Kwan Jin Yao on 13 November 2017. It is reproduced with permission. Big class, small class or one-to-one?